It is with extreme sadness that the family of Robert (Bob) William Brodsky announces the loss of an extraordinary husband, father, Papa, brother, uncle and friend on Sunday, March 31, 2019 at the age of 71 after a courageous battle with lung cancer. Bob was lovingly surrounded by his family at home, as he peacefully left his earthly life. Loved ones who cleared the path for Bob are his parents Nathan and Marie Brodsky and brother-in-law Albert Derkatch. Loved ones who will miss Bob until they meet again are his wife of 47 years, Rose, son Jarrod (Erin) and daughter Shannon and grandchildren, Tristan and Nixon. He is also survived by his brothers Rick (Deb) of Kelowna, Jack (Shirley) of Saskatoon and sister Debra of Toronto, as well as his sister-in-law Dianna Derkatch of Yorkton, brothers-in-law Larry (Margo) Achtemichuk of Saskatoon and David (Joyce) Achtymichuk of Calgary and many nieces and nephews. Bob was born on June 7, 1947 in Winnipeg, MB. He loved playing baseball and hockey and when he wasn’t in school or working summers for Brodsky Construction, he was at the rink or the ball diamond. Brodsky Construction and the family moved to Saskatoon in 1965. It was when Bob became a partner in Brodsky Construction that he met the love of his life, Rose Achtymichuk. They were married on October 9, 1971. Bob reveled in winter vacations in Fort Lauderdale, where he could spend time with his parents and his young family and play his new favourite sport, golf. At home, Bob had a large circle of friends who got together every weekend, dancing, curling and playing cards. Bob’s love of sports never waned, and he coached his son in hockey and baseball and assisted his daughter in softball. He touched the hearts and souls of the kids he coached and many of them today hold the utmost respect and love for him. He made many lifelong friends during this time. In 1976 the family bought the Saskatoon Blades Hockey Club and Bob and Jarrod attended every game and became the Blades greatest fans. Bob was with Brodsky Construction until 1996, when the business was sold, and Bob decided to retire. He used this time to pursue his loves of golf and family. Bob and Rose enjoyed traveling with family and friends, and eventually bought property in Phoenix in 2009 where they spent every winter. In the fall of 2017, they moved to Kelowna to be closer to their grandchildren. Nothing lit up his face more than when his grandsons came into the room and he gloried in giving them Loonies and Toonies for their piggy banks. Bob was a wonderful and compassionate man who was loved, is missed and will forever be cherished. The family would like to thank the Kelowna Cancer Centre, the Palliative Care Nurses (especially Jodi, Sheila and Kristine) and the doctors, especially Dr. Hugo who took such good care of Bob. 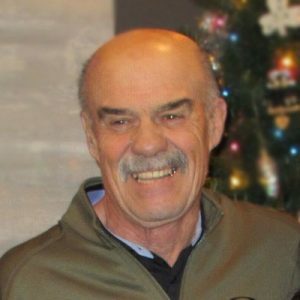 A Celebration of Bob’s life will be held August 4, 2019 from 2 – 4:30 pm at Saskatoon Golf and Country Club, 865 Cartwright St, Furdale, SK. In lieu of flowers, the family kindly requests donations in Bob’s memory to BC Cancer Research, 399 Royal Ave, Kelowna BC, V1Y 5L3 or to the KGH Palliative Care Fund to support and honor the nurses at the May Bennet Wellness Centre. The service for BRODSKY, Robert William is scheduled for August 4, 2019 from 2 – 4:30 pm . Below you will find the map for the service location and the contact information should you have any questions. 865 Cartwright St, Furdale, SK. Our deepest sympathy to the Brodsky family. Our thoughts and prayers are with you during this difficult time. Our deepest sympathy to all Bobs family and friends. Such a great loss. – hold each other close. Love and prayers from our families to yours. Blessings. Laureen Hammond, Lester Forbister and children. Sincere Condolences to the Brodsky Family from Auntie Rubys daughter, Karen and her family. My family and I send heartfelt condolences to you Rose and your family. I feel the sadness with you. Peace be with you. his warm, smiling face, each year. Bob was a kind and gentle man who was dearly loved by family and friends. He will be so missed. Rose and family, we were saddened to hear of Bob’s passing. He was a great neighbour and he will be missed and remembered. Our thoughts are with you at this difficult time.. May your memories comfort you. To Rose, Jarrod, Shannon and the entire Brodsky family, I am so very sorry for your loss. Bob was such a great guy and I will always remember the wonderful times we had on Saturday nights curling and partying to the wee hours. Those were such fun times for all of us. I also remember Bob’s smiling face as we would visit together at the Blades games. He certainly was a true fan. I know that the wonderful memories you all created with Bob will keep him ever present in your lives. Take comfort in the knowledge that he loved you all very, very much. Dear Rose, we are saddened to learn of Bob’s recent passing.Our thoughts are with you and please accept our sincere condolences . Bob will be missed by family and friends. Ken and Mavis Grant, Saskatoon. It goes without saying that Bob will be missed! I remember especially his coaching Shannon and Danielle when they played softball as kids. I know that how welcoming Bob and Rose were to my children. Certainly, we pray that you Rose, Shannon and Jared will be consoled abundantly, knowing that his pain is gone, and knowing that he is at peace, reunited with his mom and dad. We all send our love and support. We are saddened to hear of Bobs passing. Our heart felt condolences to Rose and the Brodsky family. Dear Rose, Shannon and family, so sorry to read about your loss. Bob sounds like an amazing man. My thoughts are with you. Rose, we were saddened to hear of Bob’s passing. Our sincere sympathy to you and your family. You are in our thoughts and prayers. Rose, Jarrod, Shannon and the Brodsky family my sincere condolences at Bob’s passing. In Bob’s last two years at the SGCC I was fortunate to get to know him as we played many rounds of golf together. We had many laughs, sometimes at Bob’s expense, but he could fire back at quick response. Often the discussion centred around picking up the flag, Bob typically avoided this task. I’m sure he would have appreciated the new rule, leaving the flag in the hole. He will be missed in our golf group and remembered fondly. Rose & family ….No words can ease the pain of your loss, but if caring thoughts can help, they’re with you right now. My deepest sympathy. Sincere sympathy to all the Brodsky family at this sad time. Dear Rose: I was so sorry to hear about Bob’s death. Nothing I can say will ease your pain right now. Hold on to your wonderful memories and, as time passes, they will comfort you. My sincere sympathy to you, Jarrod, and Shannon. Please accept my sincere condolences on the passing of Bob. The MacDonald family spent alot of time with the Brodsky family in the early 60’s. Many lovely memories. Thinking of you all at this sad time. Heartfelt condolences. Have fond memories of your visit. Love and prayers.